A 32-page federal search warrant affidavit outlines in meticulous detail the steps the FBI took to investigate one of its agents charged this week with leaking information to a reporter. The affidavit signed on Aug. 28, 2017, asked a federal court magistrate judge for permission to search the home, truck and office of former FBI counterterrorism agent Terry Albury for evidence he leaked classified information to an online media website. The Justice Department has vowed to crack down on leaks that it contends undermine national security and the affidavit is the most detailed description on how the FBI used its own technology — and the records themselves — to track such leaks. Albury became an FBI agent in 2005 and was working out of an office at Minneapolis-St. Paul International Airport. It was unclear when agents conducted the searches or what items they seized, as an inventory of seized items remained sealed. Albury was charged Wednesday with one count of "knowingly and willfully" transmitting documents and information relating to national defense to a reporter for a national news organization. He was also charged with a second count of refusing to hand over documents to the government "related to use of an online platform for recruitment by a specific terrorist group." The documents unsealed late last month never identify the news outlet, however the dates align with stories posted to The Intercept's website in January 2017, along with FBI classified documents that exactly match those Albury is charged with leaking. Albury has not commented on the charges. 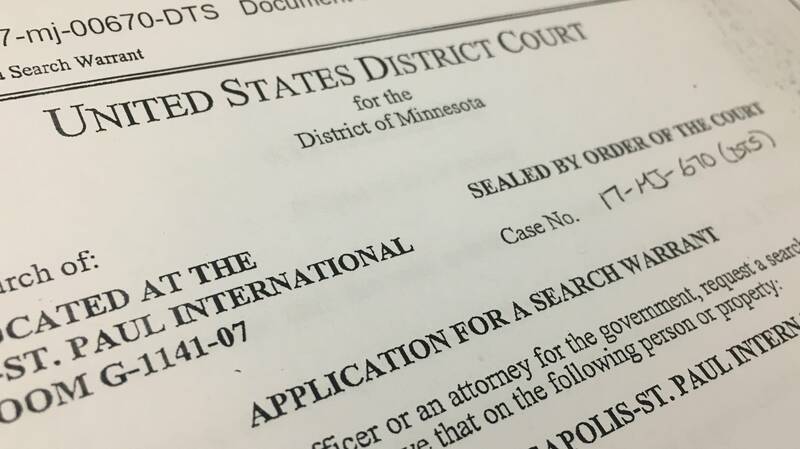 According to his attorneys, Albury is the only African-American FBI agent in Minnesota. They contend he was "driven by a conscientious commitment to long-term national security and addressing the well-documented systemic biases within the FBI."